Student Activities implemented a new event registration process this semester after receiving jurisdiction over public events from Student Judicial Programs. The change is a result of recommendations made by the Alcohol Policy Advisory Committee last spring, according to Abad. 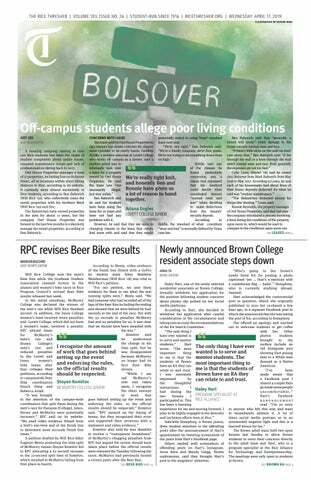 College magisters must now approve the final plan for college events, and Environmental Health and Safety, Rice University Police Department and Rice Emergency Medical Services are involved in the planning as needed, according to Student Activities. Abad said she is serving as the interim lead on party registration, as the search for a new associate director of campus events, a position that Dean of Undergraduates John Hutchinson created, has taken longer than anticipated. Abad said she believes the Student Activities office’s ability to coordinate with many people is the reason the office was chosen to assume the new responsibility. Emma Reford, co-head of the Baker socials committee, said the process’ thoroughness is both a weakness and a strength. Youssef Machkas, co-head of the Sid Richardson socials committee, said the Student Activities office is more responsive than SJP. Martel College Chief Justice Gabby Falcon said the increased amount of meetings under the new system can be time consuming. Baker Chief Justice Jeremy Palmer said he remembers when the system was first piloted last spring with Baker ’90s. During the planning process some students wanted a keg at a nearby private, raising concerns about crowding and fire safety. A compromise to have a pony keg instead was eventually made through the new system which allowed for more negotiation, unlike the old process, according to Palmer. As colleges implement the new process for the first time, Abad said she hopes students see it as a change for the better. “I’m hoping that people feel like, while it’s a little bit more intense at the beginning, it’s a positive process and they’re feeling supported,” Abad said. Falcon said the more involved party registration process eventually pays off.